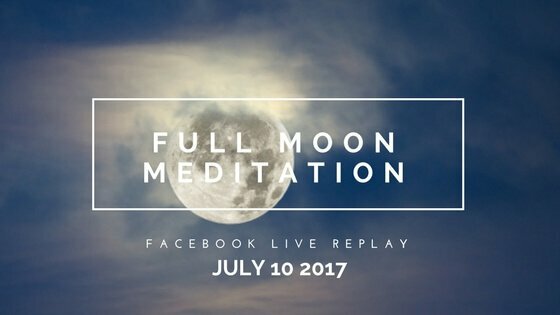 We celebrated the energy of July’s Full Thunder Moon live on Facebook Monday evening with a powerful Kundalini meditation to shake up stagnant energy and call in new growth and transformation. Did you miss it? Thankfully, the full moon energy stays potent for three days after the official full moon, so you still have time to take advantage of its energy and carve out space for meditation. If you weren’t able to tune in live with us on Facebook, you’ll find the replay video below. And, I’d love to show you how to take this practice further. If you’re feeling led to take the next step with your menstrual-moon connection, I’ve created a series of meditations for each phase that will help you connect the moon with your own cycle. Discover more about each energy and grab your meditations HERE. If you are not already a part of our Yoga Goddess Facebook Support Circle, I invite you to join us! You’ll find hundreds of other women asking the same kinds of questions you are.